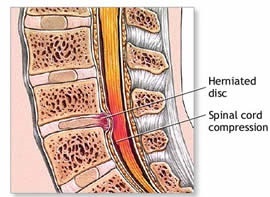 First we can say : « disc herniation » or « herniated disc » but I prefer use « disc herniation » in my article. 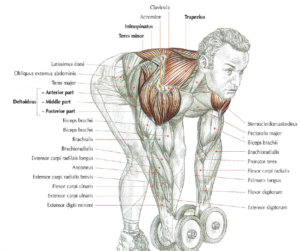 Disc herniation is a common pathology in bodybuilding. This often occurs because of poor back placement during exercises such as squat, deadlift and rows (barbell bent row, seated row, etc). During the execution of theses exercises, the main defect observed is the rounding of the back or a flexion of the spine. Because of that discs are pinched forward and loosened backward. 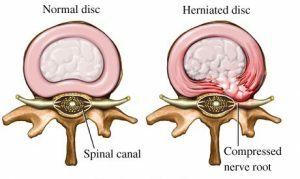 If an intervertebral disc cracked or aged, the gelatinous fluid of the nucleus pulposus moves backwards and can compress the spinal cord or roots of the spinal nerves. The symptoms of a disc herniation depends on the nature of the lesion, the amount of nucleus displaced and the surface that nucleus compresses. The disc may have a bump or even worse, the nucleus may explode through the surrounding annulus fibrosus. It’s also possible that the posterior ligament that joins the vertebrae to each other is broken. The compressions caused by the rupture of the annulus fibrosus are always painful and incapacitating. 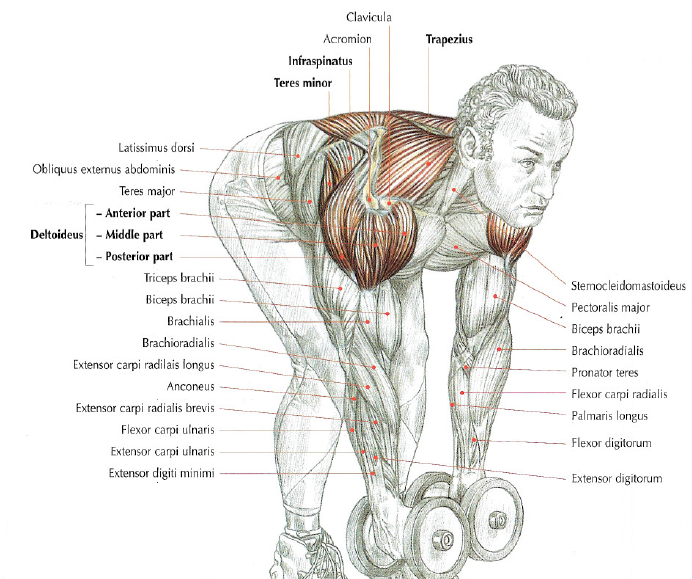 In bodybuilding, disc herniation are mainly at the lumbar level. Often between the 3rd and 4th lumbar vertebrae or between the 4th and 5th lumbar vertebrae. The pain is dull and deep and sometimes with numbness and tingling. Often the pain is in the middle of the back or on one side. The pain extends onto the glutes, pelvis and pubis. Sometimes pain can be felt throughout the leg following the path of the sciatic nerve because the sciatic nerve is compressed at the root (hence the name of sciatic to define this type of pain). 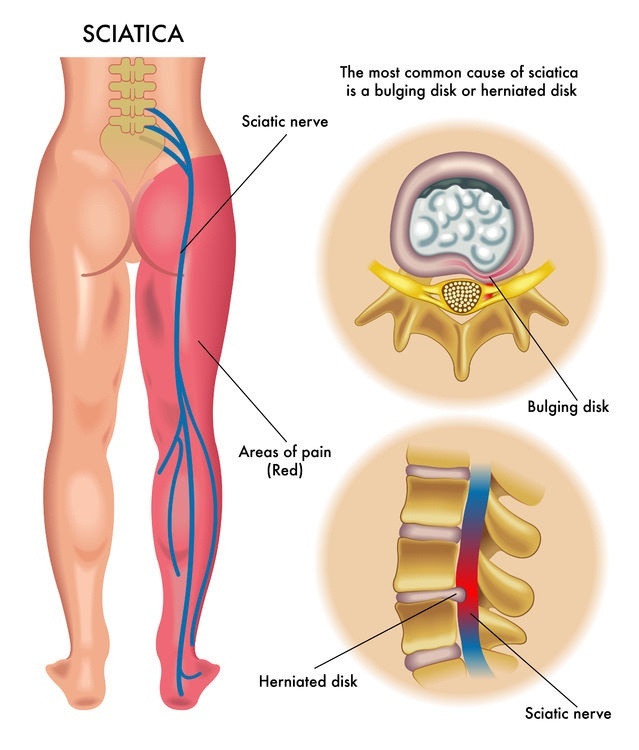 Usually disc herniation resolve spontaneously and the pain gradually disappears. 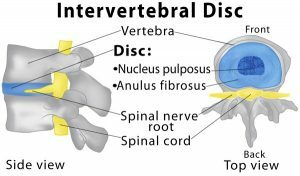 But in some cases the bump on a vertebral disc doesn’t disappear and can continue to painfully pres on the nerves or it’s a loose piece of intervertebral cartilage that compresses the nervous elements. In these 2 cases, the doctor will think of doing a surgical operation to remove the part that compresses the nerves. 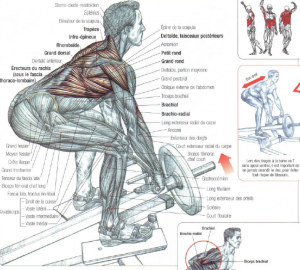 To avoid having a disc herniation, it’s essential to do squat, deadlift, « good morning » and rows (rows, barbell bent row, seated row) with excellent positioning technique. Take a deep breath and block the breathing to fill the lungs like a balloon. This stiffens the ribcage and prevents the top of the torso form tilting forward. Squeeze abs stiffens the belly, This increases the intra-abdominal pressure and prevents the torso from sagging forward. By slightly arching the lower back with lumbar squeeze, this allows to have the spine’s bottom in extension. These 3 simultaneous actions is what we call « blocking ». 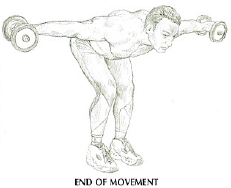 This « blocking » has the function of avoiding the rounding or bending of the spine because with very heavy weights, it can create disc herniations . After a training session with very heavy weights, it’s advisable to do stretching for the spine. There is an excellent exercise to relax the back muscles and rebalance the pressure inside the intervertebral discs. Click here . For exercises such as deadlift or squat, it’s important not to round your back to avoid lower back injuries. Flexion of the spine with heavy weights can create disc herniations at the level of the lumbar vertebrae. These disc herniations are common at squat and deadlift. This is caused by a bad back position during exercise. That’s why it’s important to work the technique for these exercises. From the age of 30 years old, intervertebral discs degenerate and don’t worry, it’s normal, The annulus can crack and the nucleus pulposus dries progressively. Vertebral discs of people over 30 years old are more rigid, less elastic and the mobility of the spine is more limited. 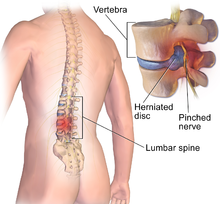 But as the viscous gel of the nucleus pulposus deacreases due to drying, the risk of the vertebral discs moving and compressing the nerves diminished. Vertebral discs of people under 30 years old are more flexible, more elastic and there is more mobility with the spine. There is a greater amount of viscous gel in the nucleus pulposus which increases the risk that vertebral discs will move and compress the nerves. Disc herniation is very common among young athletes. 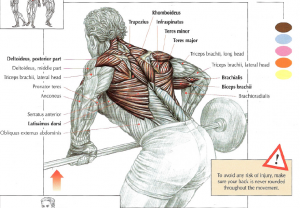 This exercise is similar to the barbell bent rows but it allows a better work of the back muscles because there is less need to focus on the body’s positioning. This exercise works latissimus dorsi, teres major, posterior deltoid, arm’s flexor (biceps, brachialis, and brachioradialis), rhomboids and trapezius. The machines with a belly support allow to focus less on the positioning, abs and spinal erectors don’t work. 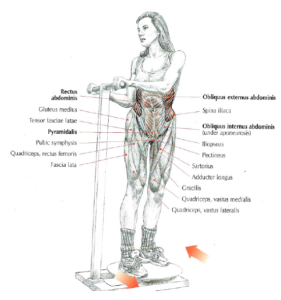 When there are very heavy weights, the rib cage can be compressed on the ventral support and this hinders breathing. When it’s difficult to breathe, doing the exercise is unpleasant. With a supinated grip, this exercise especially works the brachialis and the upper part of the trapezius at the end to the pull. This exercise works latissimus dorsi, teres major, infraspinatus, rhomboids, the middle part of trapezius and arm’s flexors (biceps, brachialis, and brachioradialis). Incline your torso works your abs and spinal erectors isometrically. With a supinated grip, this exercise especially works the brachialis and the upper part of trapezius at the end of the pull. There are some machines that allow you to have a semi-pronation grip. With a semi-pronation grip, you intensely work the forearms muscles, especially the brachioradialis. Inhale, block your breath and squeeze your abs. Pull the barbell to your torso. Returns to the starting position and exhale. 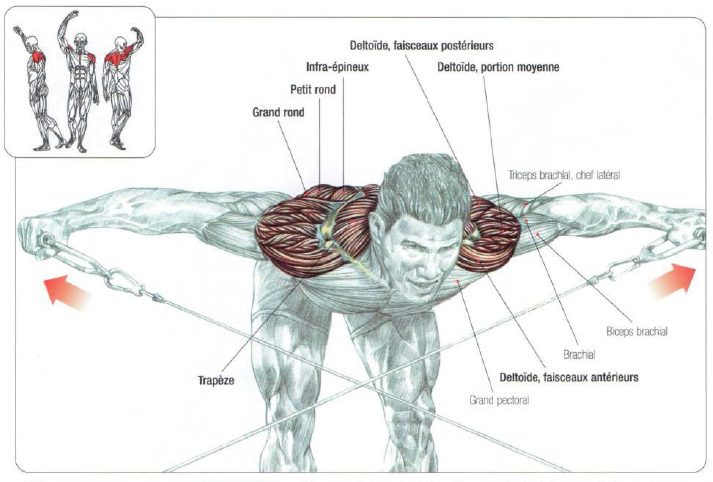 This exercise work latissimus dorsi, teres major, posterior deltoid, arm’s flexor (biceps, brachialis, and brachioradialis). When your shoulder blades get closer, your rhomboids and trapezius also work. 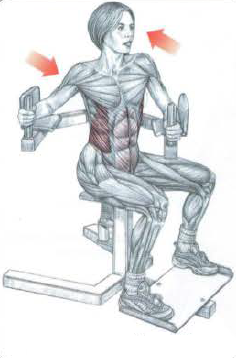 Incline your torso works your spinal erectors isometrically. This exercise has several variants like the hand width, pronated or supinated grip or torso inclination allow you to work your back in different angles. It’s important to keep your back straight because if you rounded your back during the movement, you risk having injuries. 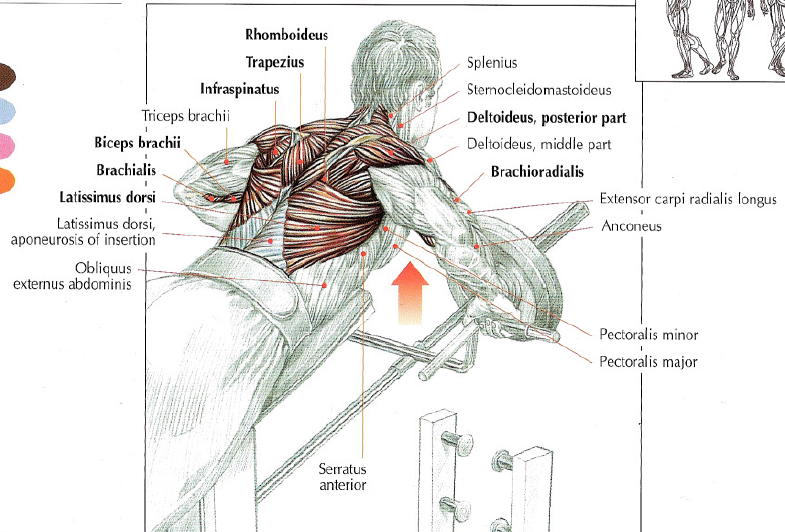 This exercice mainly works deltoid posterior beams. 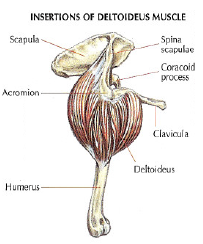 Trapezius and rhombroid also work a little bit when you bring your shoulder blades together. 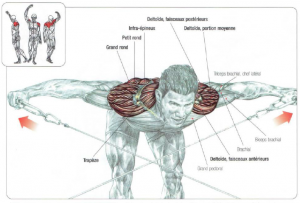 This exercise work the whole of shoulders accentuating the work of the deltoid’s posterior beams of the. If you tighten your shoulder blades at the end of movement, you use trapezius (middle and inferior fibers), rhomboid, teres major and infraspinatus. It’s possible to do this exercise lying face down on an incline bench.